So you want to know how to make veins pop out? We have all seen some of the extreme vascular bodybuilders posting pictures of themselves with veins all over their bodies popping out like crazy. If you are anything like me you would be satisfied with vascular arms and a vein here and there popping out. Some of us just don’t have the genetics to have a lot of veins, you have probably seen some guys who don’t even lift who still have veins popping all over their body. 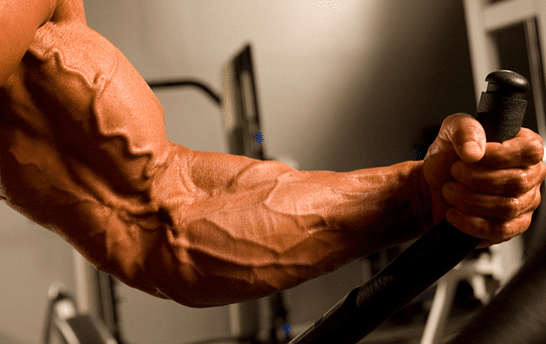 There are however some things you can do to increase vascularity and make veins pop out. Even though you do not have any veins at this moment you are still able to at least get some veins in your arms popping out when you train. Follow the tips below and you will be well on your way to make your veins pop out. A lot of people don’t know that sodium actually makes your body retain more water. Why is this a problem? Well, it forces your skin to look puffy and covers up your veins – making you look less defined. That’s why bodybuilders dehydrate themselves before going on stage – it makes them look more defined. First, make sure you are avoiding processed foods. These tend to be loaded with preservatives – one great way to avoid sodium is by preparing your own foods so you know exactly how much salt you are adding. You shouldn’t be consuming more than a teaspoon of salt per day – so if you need to improve the taste of your food use herbs and spices instead. The easiest way to do that quickly is with proper diet and a quality fat burner like these top 5 that are for sale. At the end of the day having veins that pop out like a bodybuilder magazine cover model really comes down to having a low body fat %. The veins you see popping out are known as surface veins – they lie close to the surface of your skin. As you put on body fat you put more and more padding on top of those veins making it difficult for them to stick out. Therefore, by reducing your body fat you will eliminate that padding and make those veins protrude more. Focus on eating a calorie deficit and mixing in some high intensity interval training to bring your body fat down and get that look you want. Once you reach the sub-10% level you should be able to see quite a bit of veins, with the lower you go the more they will pop out. Keep in mind that your genetics will play a role here – some people look vascular at 15% body fat while others need to get to 8% to see any veins. When consuming your calorie deficit make sure you are eating healthy foods like lean protein sources and vegetables and avoid junk food and sugary snacks/sodas. If you want to have some impressive veins sticking out you will first need to build some muscle mass to go with it. 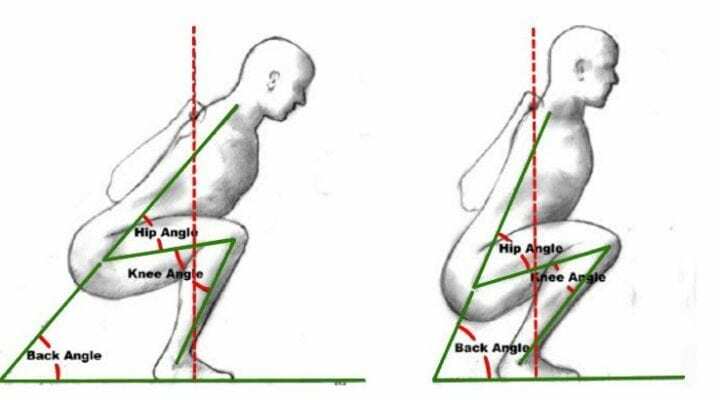 You need to lift heavy and progressively overload the muscles – that means lifting heavier weight over time. If you keep lifting the same weight for the same number of reps your muscles won’t get bigger and neither will your veins. We always recommend these Top 5 muscle builders for fast muscle gains. High intensity interval training or HIIT cardio is a great way to get lean so those veins can pop out. This type of training involves doing short bursts of high-intensity training followed up by a recovery period for about 25 minutes. You can do this type of training with sprints, cycling, running uphill, etc. Consuming lots of carbs encourages your body to hold on to more fluids. Therefore, if you eat a low carb diet you will retain less water underneath your skin – not to mention you can burn more body fat. That means a leaner, more vascular physique. Those are the most popular supplements to increase vascularity and muscle pumps. See the top 3 nitric oxide supplements here. Diuretics flush water out of your body which helps you look more vascular. There are a number of products that can help you with this or you can use a natural one like coffee or espresso. Don’t go overboard with these though as they can have a negative impact on your health. Some people think that drinking lots of water will make them bloated and reduce their definition. As it turns out, if you drink too little water your body will desperately hold on to whatever water it has, thereby messing up your physique. So make sure you get plenty of water so that your body feels comfortable flushing out the excess water. While dehydrating yourself might work for a day or two (or a contest) over a longer period of time it is actually quite dangerous for your health. See the Top 3 Fat Burners here. We all know that fat burners are NOT some kind of a magic pill that is going to make you shredded in no time with veins popping all over you body. But we also know that fat burners increase the metabolic rate in your body which means you will burn more calories throughout the day and burn fat a little bit faster. What they also do is eliminate water retention which will make your body hold less water and making your veins more visible. Adding a fat burner is great if you are stagnant in your cut. – See our 3 top choices for fat burners here. Hey what the best way to get built. The best to build muscle fast is by eating loads of protein and in a calorie surplus and train hard in the gym. On top of that for faster results you can try any of the Top 5 Testo boosters – as they can help you speed up your results more quickly. Hey Luke yr big enough, stop playing with us all. I’m 14 bout to be 15 and I’m trying to get abs any tips ?